While it certainly seems as though technology makes the world go round, that doesn’t mean that disconnecting from time to time isn’t a good…nay, great…idea. Whether playing the latest blockbuster multi-player game, exploring virtual worlds with alternate reality technology, or downloading content onto your computer or tablet, technology is an important part of everyday life. But if you’re looking for some healthy ways to disconnect from technology, here are 5 suggestions. Technology-Free Zone: It can make a lot of sense to set up one or more technology-free zones in your home. For instance, you might decide that using your smartphone, tablet, or laptop in the dining room or in your bedroom is a no-no. When in these areas of your home, you can get some rest and relaxation, read a newspaper or magazine, or tuck into a good book. Once you establish your technology-free zones, stick to the policy. It’ll allow you to have a bit of respite from technology overload so that you’re not always tethered to your gadgets. Plant a Garden: You’ve likely heard the saying that it’s sometimes good to stop and smell the flowers. Well, there’s truth that that statement because a great and healthy way to take a break from technology is to get outdoors and start a garden. 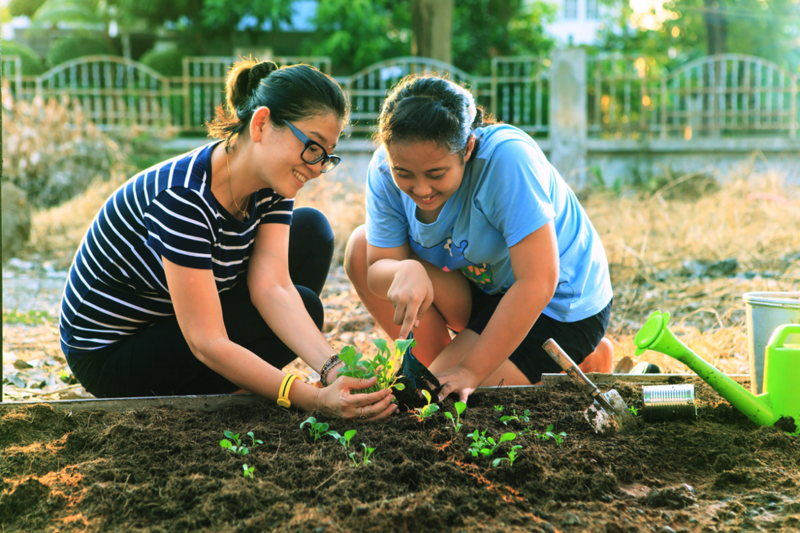 Gardening will allow you to enjoy nature, the weather, and the fresh air. If you opt to start a herb garden, you’ll have the chance to enjoy the fruit of your labor when it comes to cooking or making salads. If you decide to start a flower garden, you’ll be able to beautify your property as you see the plants grow to full bloom. Pursue a Hobby/Activity: Picking up a new hobby is a great way to take a healthy break from technology. Whether you’ve always wanted to get into memorabilia or stamp collecting, horseback riding or birdwatching, or jogging or running, you can make the effort to do something new. Too much screen time is never a good thing, so get out and do something fun and rewarding. Volunteer: If you live near to a soup kitchen, hospital, or retirement home, then why not consider volunteering some of your time as a way to be of service and to take a break from technology? You’ll have the chance to interact with others and become part of community life since you’ll be out and about rather than stuck behind your computer screen all day. Hang Out with Friends: It’s all good and well to have a vibrant online network of friends, but you also need a network of offline friends as well. If you want to take the occasional break from technology, go out to lunch with friends or meet some people at the mall to socialize. Even a game of street hockey, soccer, or basketball will give you the chance to get outside and interact with friends and peers. Disconnecting from technology is a must from time to time. Technology is an unavoidable and very beneficial part of life in this digital age, and it would be hard to live without the conveniences and enjoyment that it affords. Even so, too much of a good thing can be problematic, which is why you need to untether sometimes. The aforementioned suggestions will give you some direction as you look for healthy ways to disconnect from technology.